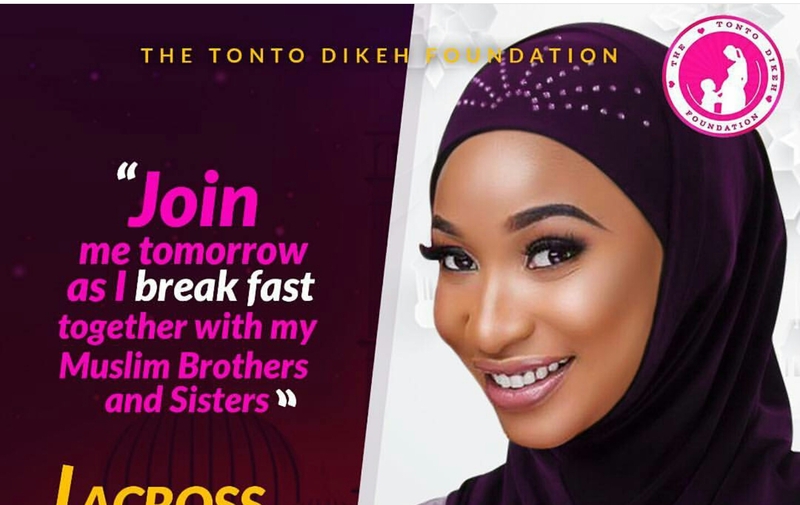 Popular Nollywood actress and mother of one has just proven that we are not only one no matter the religion but also, all religions are one because we serve one God. On the other hand, I can't help to wonder if she is considering joining Islam! Hmmm. 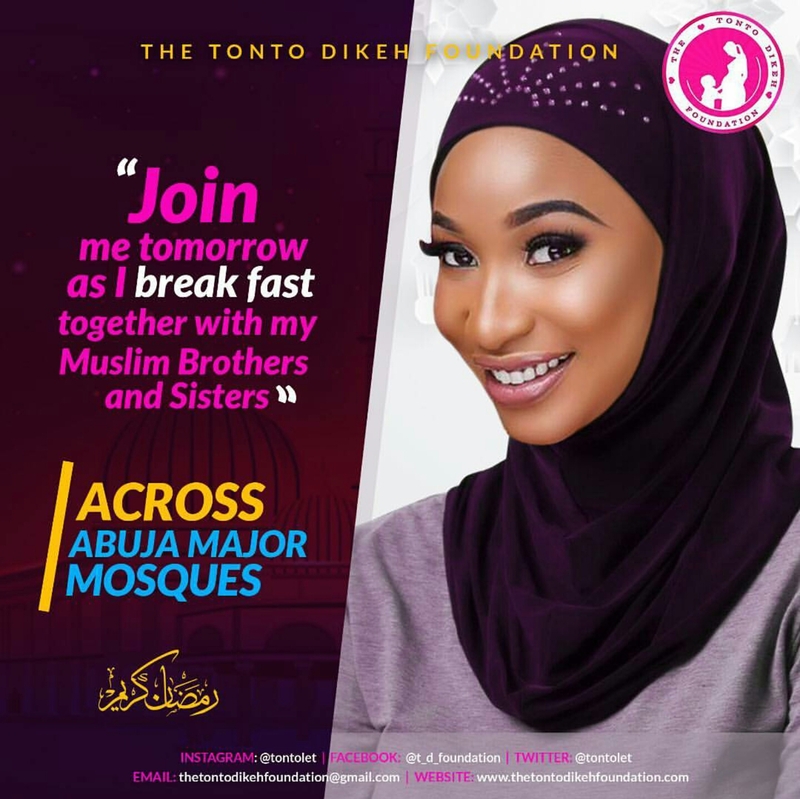 The beautiful evangelist has taken to her IG page to share a photo of her on dark hijab announcing that she would be joining her muslim brothers and sisters to break fast across Abuja major mosques today. In as much as she looks really gorgeous in hijab, The Big question is; Is an evangelist allowed to do this?